RINOL TOP A3 is specially designed compound of hydraulic binder, specially selected quartz sand, corundum based synthetic aggregates and of special additives aimed to satisfy high performances which are declared by dry shake in wearing class A3. RINOL TOP A3 is installed on fresh concrete as dry shake topping. The concrete should be made with a minimum content of cement, 300kg/m3 of concrete, and with the aggregate of appropriate size for the aimed purpose. 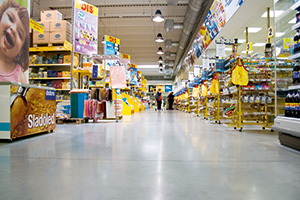 Additives are included in the fresh concrete mass recipe to ensure optimal installation of concrete mixture and are added according to floor slab concrete design. 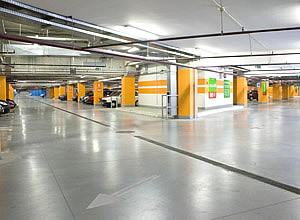 Large concrete surfaces should be done with Laser Screed machines. Smaller surfaces are done by manual concreting. • 4-5kg/m2 for dry coating (manual spreading). Material is aimed for spreading over the fresh concrete which could be done by pushcart or by spreading machine. In first option, spreading starts when concrete can sustain the weight of the worker with the imprint of 3-5mm in depth (“foot print test”). In second option, spreading process takes place practically at the same time as concreting. To ensure the timely beginning of works, continuous control of concrete is necessary. 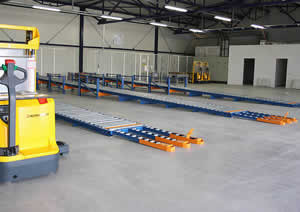 The final appearance of the floor is achieved after the series of crossings with rotating machines equipped with discs and blades respecting the rules of proper finishing operations. 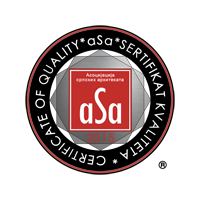 The use of Ph neutral detergents and rotating machines equipped with white and red felts for regular cleaning. 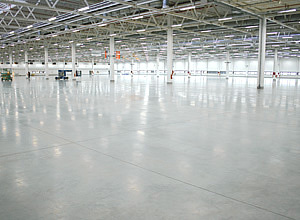 For individual use, please, ask for RINOL instructions for concrete floor maintenance. • Facilities with increased demand for wearing resistance. The material is packed in 25kg bags. Shelf life of properly stock material is 12 months. 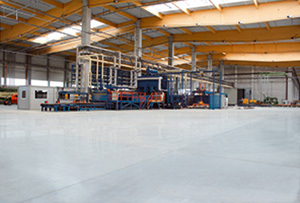 The floor system has to be protected right after the process of production. 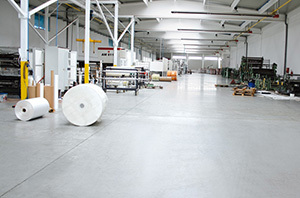 If the floor is treated by permanent impregnation (our recommendation is permanent impregnation with Ashford formula), floor must be wet cured – covering with PE foil along with the humidity control during 7 days minimum. Otherwise, means for curing according to the manufacturer’s instructions could be used. In both cases, color variation due to the natural process of drying of material is possible. Over time, the intensity of variations is reduced and the color is equated. As with all other powdery products, wearing of protective mask and gloves is recommended.